Come into a branch to set up online banking on your account. Credit union members can view their account activity, pay bills, print statements and transfer between their Dundalk Credit Union bank accounts with online banking. Online banking gives you the security option to disable your debit card immediately. We advise you to contact the credit union after disabling your card so that we can further assist you. Send Canadian funds quickly and securely using Interac e-Transfer® to anyone in Canada. To send or receive an e-Transfer you will need to have set up online banking on your account. For additional information about e-Transfers including instructions on how to send and receive e-Transfers click HERE. Click to review fees related to e-Transfer. Come into a branch to obtain a debit card on your credit union account. Your debit card can be used to withdraw money, pay for purchases and get cash back anywhere in Canada the Interac and Cirrus symbols are displayed. Deposits may only be made at one of our own credit union ATM machines. There are no fees when using your debit card at a Dundalk Credit Union ATM machine. 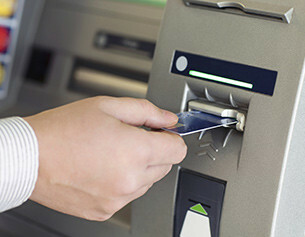 There are Dundalk Credit Union fees applicable when using your debit card anywhere other than at our own ATM machines. Your debit card and PIN are the keys to accessing your account. You should protect them at all times. Click to visit the Interac Home Page. The Dundalk Credit Union provides drive-thru ATMs at both locations for our members’ convenience, 24 hours a day/7 days a week. Our members can use our ATMs at no charge for making deposits, withdrawing cash, transferring between chequing and savings accounts, inquiring on balances and changing their debit card PIN. A night depository is located at each of our locations for member use 24 hours a day/ 7 days a week. Safety deposit boxes of various sizes are available for rent by our members at very reasonable rates at both locations to store your valuables. Credit union members can make bill payments in either branch, through online banking or by using our night depository. Fees may apply. Funds transfers can be processed to other financial institutions within Canada upon written request or in either branch. Fees may apply. Credit union members can have funds direct deposited to their credit union accounts. You may have to provide a VOID cheque to the remitter or the branch number, transit number and your account number. For direct deposits going into a savings account please obtain a credit union letter confirming your banking details. 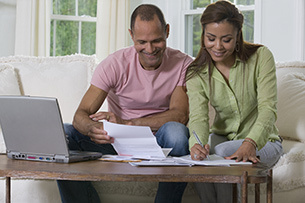 Credit union members can obtain bank drafts or certified cheques by request in either branch. Fees may apply. The credit union carries US currency for exchange by members. It is available in either branch location. Exchange rates will apply. Credit union members can order cheques for their accounts by contacting either branch location.